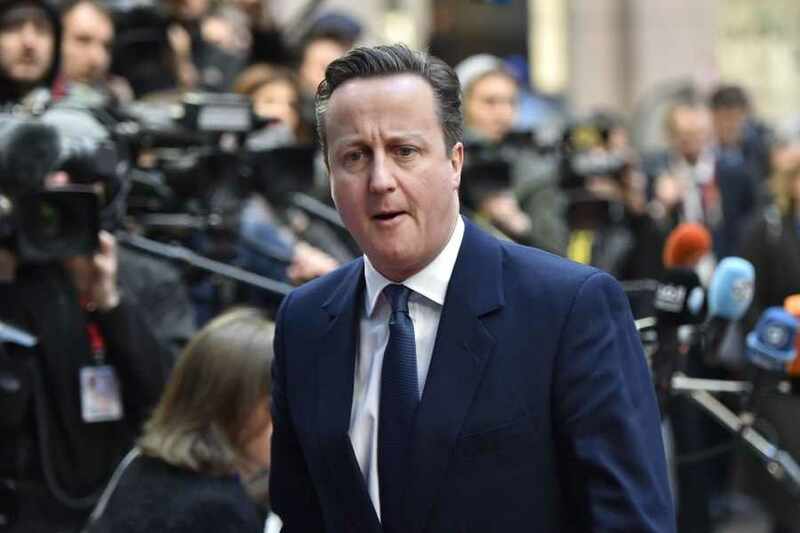 David Cameron claims he has won “special status” for Britain within the European Union. Already, a number of media outlets are portraying this as a victory for the Prime Minister and EU heads of state are lining up to trumpet the merits of the deal. Why wouldn’t they? It doesn’t actually change very much for them. Whether it appeases the right-wing of his own party remains to be seen. Initial murmurings suggest they are less than impressed. Although you have to wonder what would appease them, short of a complete exit from Europe and a reinstatement of the ’empire’. In reality Cameron’s two days on the road amount to little more than a flag waving political stunt, designed to paint a picture of a Prime Minister standing up to Brussels on the nation’s behalf. 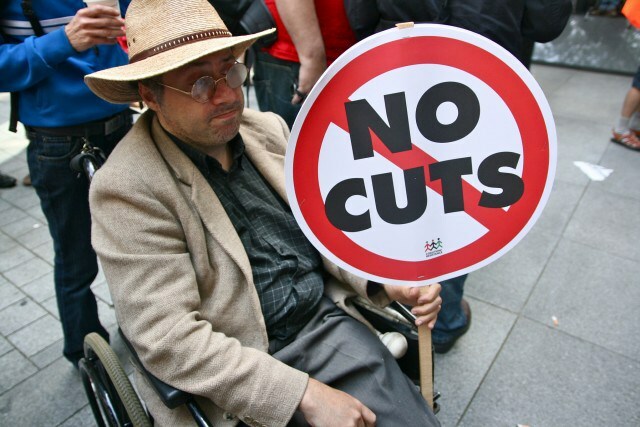 It will do little to address the issues faced by millions of people in Britain, who are currently struggling with the government’s policy of austerity. This deal will not save a single job, build a house or treat one more patient. 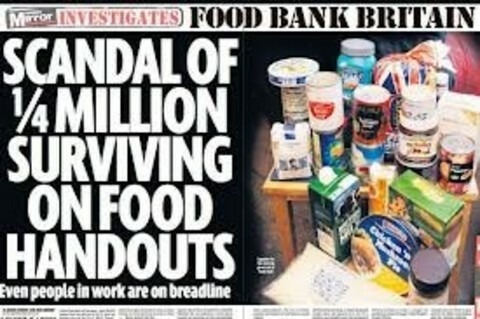 Those living on food banks will continue to do so and those in the most desperate need will still be driven to the brink of despair and beyond by savage benefits cuts. Our public services will see nothing from this deal. Hospitals will still struggle to meet crippling ‘efficiency’ savings. Emergency services will continue to be cut and public servants will still be denigrated and short-changed. In reality flag waving and appeals to narrow nationalism have never been able to solve any of these issues. How could they? Apparently we have won the right to keep the pound, but what does this mean to those whose pockets are empty? We will never be forced to join a ‘European Super State,’ says Cameron; in reality Europe never had the power to force any of it’s member states to do this anyway. The deal does see greater protection for British financial institutions and allows the Governments to opt out of EU rules on the treatment of migrants and refugees; and here’s where we come to the nub of the Conservative right’s agenda on Europe. Their talk of British sovereignty and self-determination doesn’t actually apply to everyone. Instead it is the rights of ‘The City’, of business and of government they champion; to act in their own self-interest, unfettered by regulation of any kind. Wherever they can, the Tories seek to reduce support from the state, while enshrining in law the rights of employers to pay low wages and offer whatever measly conditions they see fit. So called ‘migrants’ are just an easy target, but let’s be clear UK Conservatism is attempting the same trick on the rest of us. Without regulation of any kind, Cameron will never be content to stop at migrants and refugees. His government is already tearing up the rights of employees to secure a fair deal on pay and conditions, with the Trade Union Bill. The requirement of landlords to ensure homes are fit for habitation has gone and benefits for the disabled are under threat. The European ‘Social Charter’ represented a step forward for the rights of the continent’s citizens. It set out fundamental human rights to housing, health, employment rights and social security. It limits the hours that people can be forced to work and demands equal pay for work of equal value. It is these rights that lie at the root of right-wing Euroscepticism. No matter how much it is dressed up in appeals to patriotism or xenophobia, make no mistake their real intent is to unshackle business from laws that enhance the rights of workers everywhere. The free market they crave is one that is free to exploit. Refugees and migrants are today’s ‘whipping boys’, but the rights and freedoms of the rest of us are already under attack. Therefore the European question should not be one of in or out, but of what kind of Europe do we want to live in? As a result of Cameron’s deal we now face the prospect of a referendum on EU membership in June. Bizarrely many on the left will find ourselves strange bed-fellows with Tories campaigning to stay in Europe. However, this represents a tremendous opportunity for the left to juxtapose an alternative vision. It is a chance to champion a union of European States, based on our common humanity and the rights of all citizens to share equally in the benefits of trade. We should seize this moment to articulate the case for a Europe in which there is real democracy at every level of society and in which the wealth of nations is shared. Such a Europe would enshrine in law basic human rights, such as the right to employment, fair pay, housing, education and health. It would reject all forms of discrimination and hold that all people are of equal value. It would be a community of nearly 400 million people saying to the world, there is another way. It would be a Europe that challenged the power of international capital and argued for redistribution of wealth and an alignment of priorities towards social justice and protection of the environment. That’s the kind of Europe Socialists should fight for. Inside not outside. It’s one I believe in and I’ll be arguing for that in June.